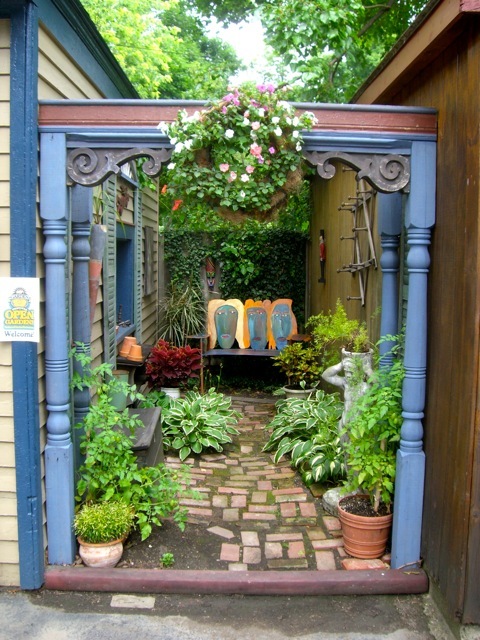 Former Garden Walk Buffalo chairperson, Arlan, has built his home into his garden. 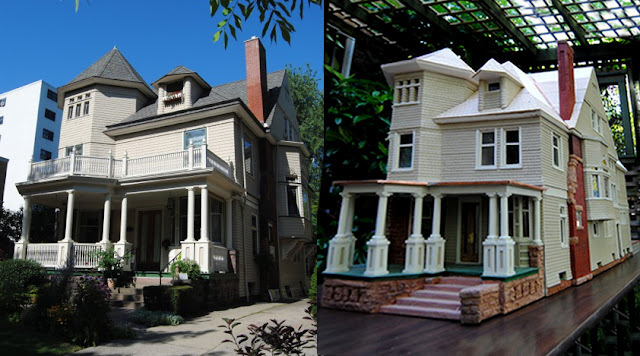 Already one of my favorite Buffalo gardens, his latest addition is this 1/20 scale version of his house on Norwood Avenue that he's been working on. 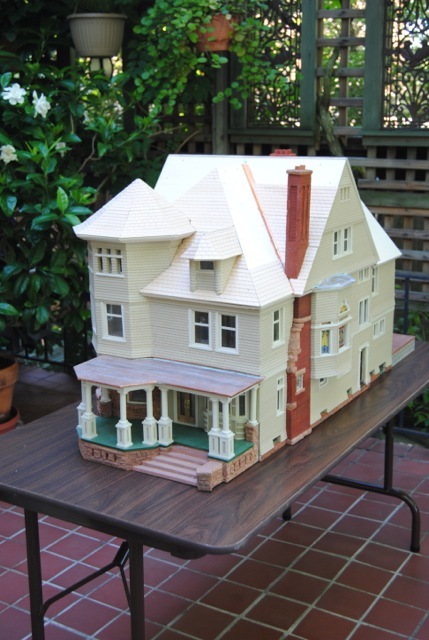 It's not done yet - he's still roofing and has to add railings and other details, but it was complete enough to bring out and set up the Sunday of Garden Walk this year. Saturday had some predicted morning rain, so anyone on the Walk did not get the chance to see it on Saturday. 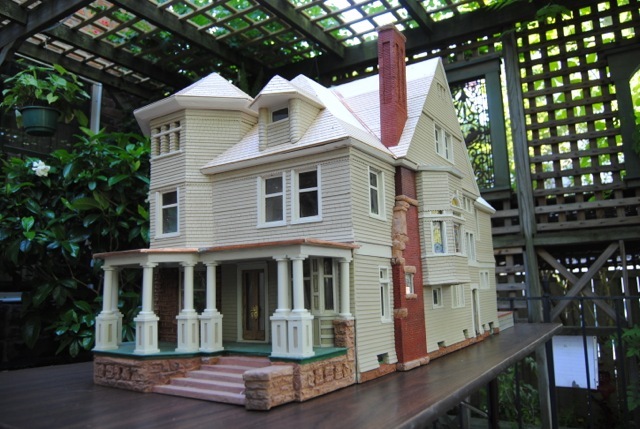 He plans to also recreate his garden as part of the final model. He figures it'll be about eight feet long when he's done. It is designed to come apart for easy transport. The interior is not finished, and he does not have plans to do that. The stained glass windows are there and all the doors work. I could be wrong, but I believe he told me there are 80+ windows on the house. 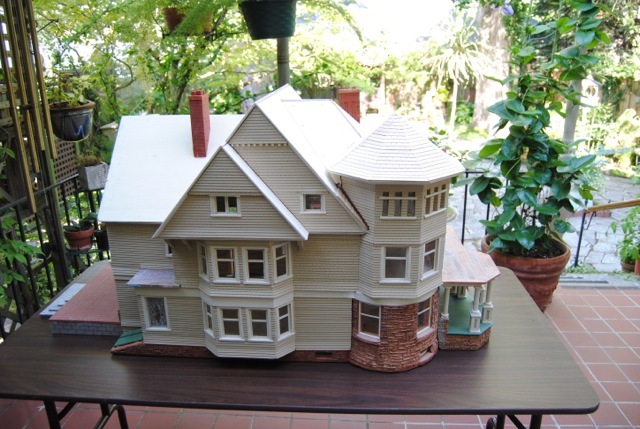 I've thought about building a model of my house. It's one of those things I think about when I cannot sleep. He beat me to it! Being a retired teacher, and no longer GW chair, he's had the time. Though I don't know how he does it. He's also been part of the volunteer team restoring Shea's Buffalo Theater and now his new cause is helping to restore the gardens at Frank Lloyd Wright's Martin House Complex. That's in addition to still helping out Garden Walk. And those are just the causes and volunteer projects I know about. 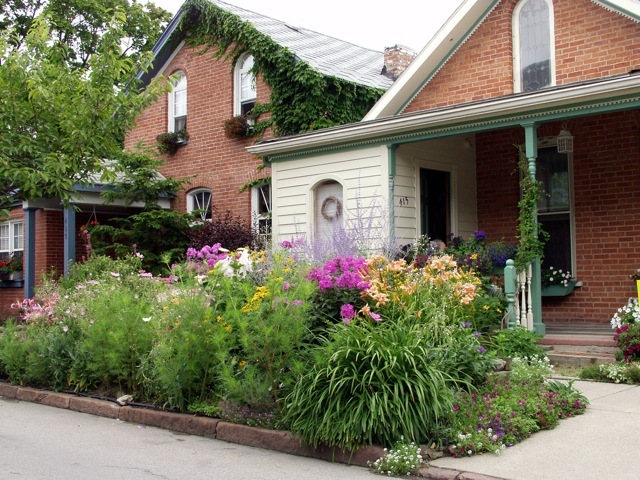 For last week's tour, we heard as many comments about the architecture of Buffalo as we did the gardens. Garden Walk Buffalo received an award from the local chapter of the American Institute of Architects a few years back that Arlan and I accepted. We received the award because, not only do we get visitors to see Buffalo's great residential architecture, they get to walk around the homes, see how people use the space around them, and get to talk to the owners. The architecture of the city is an important part of the gardens here. 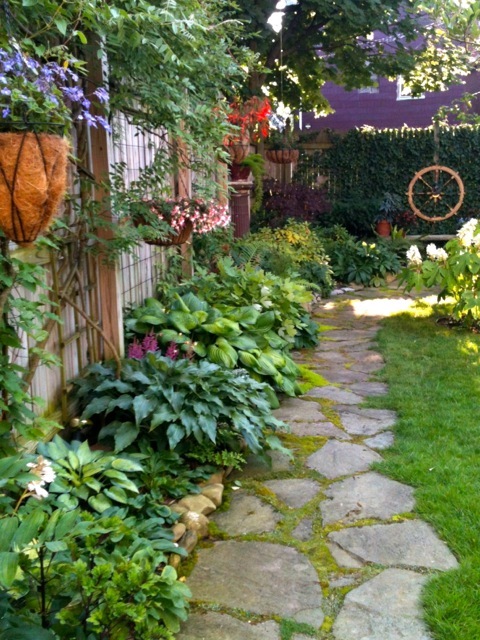 The design of a home usually factors into the design choices in the garden. One thing that is common to all GW gardens is the creativity and talents of the gardener. Arlan's creativity and talents just happen to be superhuman. 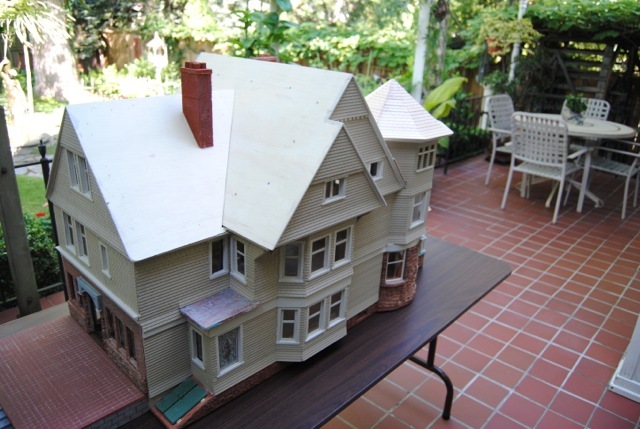 Having built many architectural models, I can really appreciate the time and craftsmanship.